If you use Foursquare, this issue will sound familiar. (If you don’t use Foursquare, run right out and download your free version here. No really. It’s good for you.) The issue lies in that employees who use Foursquare are most likely to be the mayor of that location since they check in almost daily; assuming a 9-5/40 hours a week job. While this is great for double checking the timesheet, it’s not in the best interest of the brick & mortar business to have their employee crowned mayor. Why? Because offering the Mayor a special deal for being a loyal customer then makes no sense. Just a note: I think you should focus on identifying the top 25 % of your Foursquare enabled customers and then target them AND their friends as best you can across all Foursquare, Twitter and Facebook. I think that because of this article. What should Foursquare do to help businesses eliminate this issue? Well . . . I’ll tell you! Foursquare should include the option to label yourself as an employee of the establishment. Once you’ve done this, any tips that you leave would be highlighted and branded as “insider tips”. This allows the employee to represent the business on a personal level (aka personal brand) and give the business a human side instead of just the logo. The employee would also be seen as a trusted source and provide insights into the business that may be valuable to the average Foursquare user, such as; we get new brands of wine delivered the 3rd Tuesday of every month or the iPad delivery will be in on Thursday! This little piece of functionality would allow employees to act as brand advocates in a personalized and transparent way. I believe Foursquare will address this issue in the next year, because asking employees not to check-in is simply not the answer. We shall see. Update: You can do this when you’re logged as the owner of the venue. Not sure how I missed this but I did. Feeling very very sssslllllloooooowwwwww . . . . 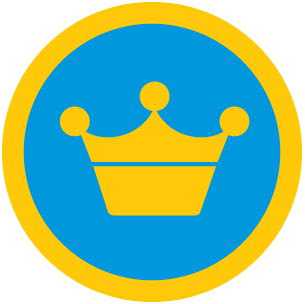 Foursquare hits a billion check-ins!